I love pancakes! With pancake day coming up next week I want to show everybody just how much I love pancakes. 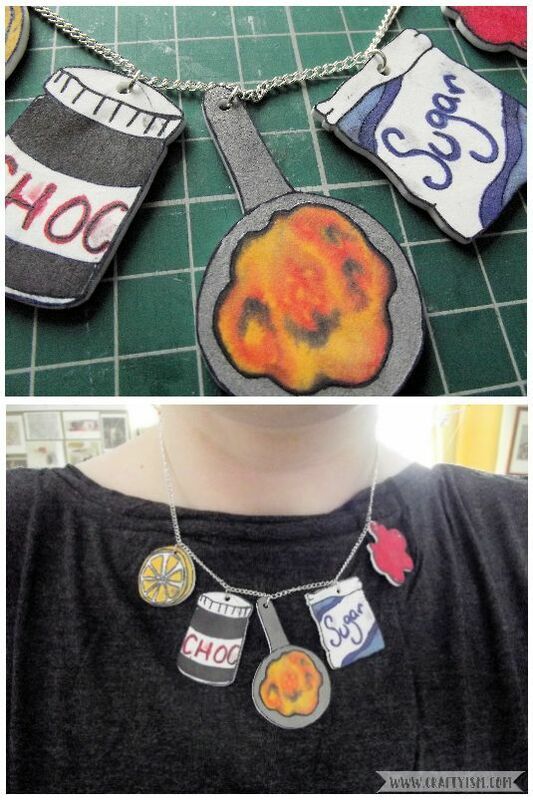 If you do too, why not make some pancake day craft and create your own pancake fan girl necklace. Making sure to work on the rough side of your shrink plastic, trace the images from the free download. 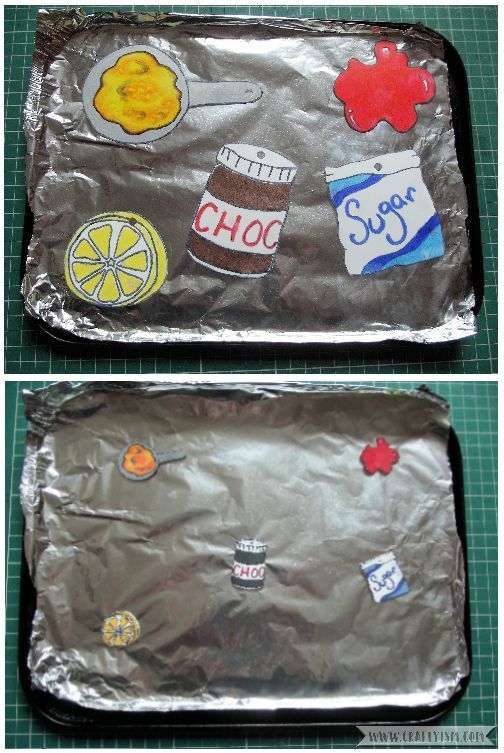 I have made my favourite toppings, lemon and sugar, jam and chocolate spread! Colour these in using felt tip pens or coloured pencils. The colours you apply will become darker once the pieces are shrunk so keep this in mind. 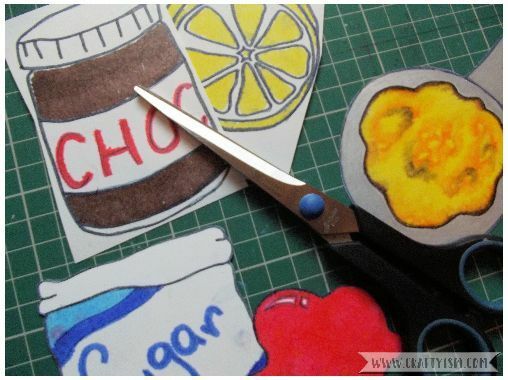 Carefully cut around your drawings, being careful not to smudge the colours. Use the single hole punch to make a hole near the top edge of each shape. This is the point where the shape will attach to the necklace. Be careful not to make the hole too close to any edge as it might be too thin once shrunk. Next, the fun bit! Shrink your plastic shapes according to the pack instructions. Most shrink plastics can be shrunk either using a heat gun or in the oven. I put mine in the oven and you can see just how much smaller and thicker they become. 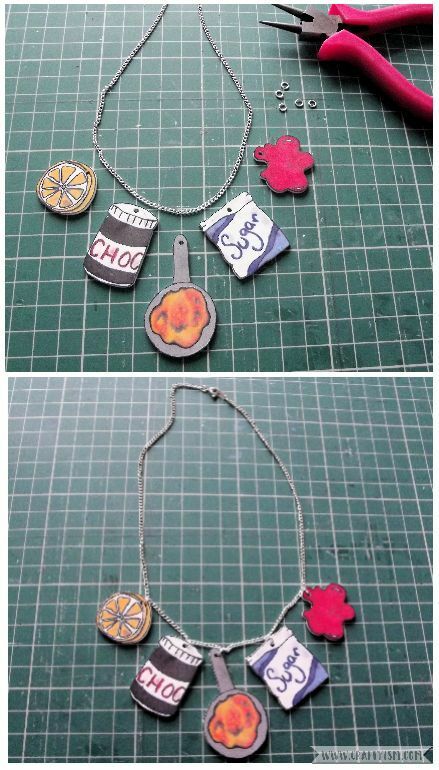 Arrange your shapes around the necklace in the position you want them to hang. I wanted the pancake in the middle with the topping surrounding. Then, use the pliers to open one jump ring for every shape. To attach, slide the jump ring through the hole in the shape and through a link on the necklace. Use the pliers to squeeze the jump ring closed. Repeat for each shape. Now you can show off your love of pancake day proudly! If you don’t like the way any of the shapes are hanging, simply open up the jump ring and re-position it. I have made the template using my favourite pancake toppings. If you have another favourite, just draw your own design onto the shrink plastic. 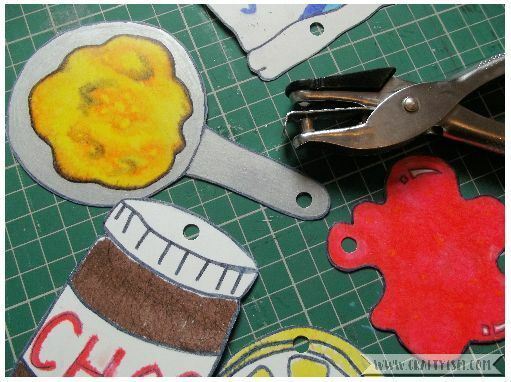 I’d love to know what toppings you’d wear on your pancake day necklace!